It's premiering right here, folks! First off, I'd like to show support to the gshi guys who made the level selector codes (in particular gedowski). However, gedowski didn't provide specific values for the levels, just the rough areas they're in (and none of the Wily Tower levels either), so I was up all night figuring THOSE things out. I'd also like to thank Nightmare Zero, because it all really started with him. You see, one day late at night Nightmare Zero was perfecting his Save State Master program and found a way to get into levels (in fact he was the very first to find the Wily Tower game through emulation). However, what struck me was that Rockman 1's points were carried over into the save state he gave me. Now, obviously this is because he started in Rockman 1 when hacking into levels, but this got me thinking that there must be a way to use game-specific Master Weapons in games they weren't made for! Especially since Wily Tower lets you pick and choose. At first I went to the GSHI asking for codes that allowed me to change the weapon Rockman was holding and they directed me to their codes section. Well, that didn't pan out for that idea because the menu from RM1 doesn't show RM3's weapons and there's no code that will let it ever do that. BUT that got me thinking ... Wily Tower's weapon select does allow you to pick and choose weapons! Remembering that Nightmare Zero's level hacking brought over RM1's data I figured I could use the GSHI's level select codes to bring over data from the Wily Tower game. And I can! - This is for Rockman Megaword NOT the Wily Wars. They don't work in the Wily Wars. - Bringing data over from Wily Tower messes up about half the levels in the game. This is because that weapon select is full screen and the level data gets mixed up in when you go from that weapons screen back to the game. Now, it's possible to bring in data from RM1 or RM2 into RM3 (or RM3's into RM1 or 2; none of those games use full screen menus), but then you won't have the slide and that makes Rockman 3 unplayable (because there's parts that require the slide). However, even if the level is messed up, the sprites are fine. If you're pretty familiar with the games or have a map to refer to then you should be good to go. Regardless, bring Rush Jet along and use the infinite weapon energy code. - I'm using the Gens emulator. It can handle the various code formats I'm using. I'm including all the codes I found useful. You can find more at the GHSI's bulletin board and site. Remember: These codes are for MegaWorld only. Some Wily Wars codes do work though, so feel free to experiment. I've included their codes for having all weapons (and items) for all three RM games in the set. This way you can bypass glitched levels for the levels that don't require either game-specific weapons or the slide. Just input the code, select the desired games, choose any level, and you'll have that game's weapons available for the level of your choice. ALCT-AAAL - Walk through enemies and most hazards, not spikes. For everyone's sake I've made save states of the unusual boss/weapon combinations that are possible. Maybe in the future someone will make more in-depth hit tracking than I've done here. Some of these are glitched, but they're still playable. Units of Health are Measured in Tens. Unlike Rockman 1 for the Famicom, if you land on spikes while flashing you do not die instantly. If you use the level select codes using Rockman 1 as a starting point, points will appear at the top of the screen for any game. However, points are not gained from killing non-Rockman 1 enemies. Killing Rockman 1 enemies during the Wily Tower stages does give you points. Beating some RM1 bosses (like Cutman) with RM2, RM3 or WT data (by level selecting from those respective games) makes the game act like the respective game's post-boss victory (the weapon does not drop from the sky, points don't sound off and you teleport out; RM collects the explodey balls from the robot master, a weapon in the menu fills up (albeit with a glitched weapon icon) and RM teleports out; RM stands there as victory music plays and teleports out), but beating some bosses (such as Cutman) leads to a soundless RM3 "get weapon" screen (Shadow Blade and Rush Marine for beating Cutman) and beating other bosses (such as Fireman or Iceman) crashes the game after RM teleports out. RM1 is the only game which lacks a post-boss get weapon screen for it's robot masters. When game data calls for it it there's a glitch. Iceman's water supports Rush Marine. However, it does not reject Rush Jet, like RM3's water does. The water in RM1 has buoyancy physics (you jump higher and fall slower), while the water in RM1 (FAM) does not. Rush Marine cannot be summoned in Wily level 3 ( CWU-01P level), but Rush Jet can. Doing so will break the current and will allow you to backtrack when you shouldn't be able to. Rush will pass right through blocks Rockman can pick up using the Super Arm. All weapons will cause Cutman and Elecman to stumble backward regardless of damage. Metal Blade: Copy Rockman's shooting pose turns into a big stack of garbage blocks that slow down the game a little. He's invincible during this time. Clash Bomb: Copy Rockman's shooting pose turns into a standing-still pose. If he tries to fire while a Clash Bomb or explosion is on-screen, he'll slide off screen and fall into an infinite loop, never returning to the play area. Time Stopper: Copy Rockman does a standing pose in mid-air instead of a shooting pose. If you use Time Stopper, his sprite will glitch. 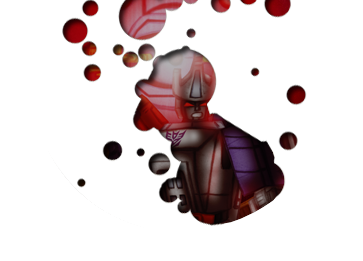 CWU-01P's Damage was determined based on the fact it takes 8 Rock Buster shots to destroy one CWU-01P unit, thus giving it 80 energy. Margin of Error: 10 units of energy. The background color of the Wily Machine is the same one used for Rockman's outline. This is of particular interest because if you charge Atomic Fire, the background flashes along with Rockman. Beating a RM2 level with the RM1 game data will not cause the weapon to drop from the ceiling. However, it will sound RM1's victory music and lead to point counting. It does not lead to a get weapon screen, however. Beating RM2 with RM3 or WT game data to RM2's get weapon screen after the post-boss actions (RM3's collecting balls of energy and WT's victory fanfare and teleporting). As in RM1, RM2's water supports Rush Marine. However, it does not reject Rush Jet, like RM3's water does. Damage for Pikopiko-Kun was determined based on the fact it takes 3 Rock Buster shots to destroy one Pikopiko-Kun unit, thus giving it 30 energy. Margin of Error: 10-30 units of energy. Top Spin apparently DOES hit the Guts Tank, but it doesn't decrease it's weapon energy. It's unknown how much energy each Boo Beam Trap unit has as Clash Bombs are the only weapon that can defeat them but do so in a single hit. Margin of Error: 10-??? units of energy. Time Stopper has no effect on the Boo Beam Trap. Making Rush marine jump out of water and on to land will cause Rockman to be forced out. Rush Marine will then teleport out. In Rockman 3 you have to go to the weapon select menu and choose something else to exit Rush marine. Beating a RM3 level with the RM1 game data will not cause the weapon to drop from the ceiling. However, it will sound RM1's victory music and lead to point counting. It does not lead to a get weapon screen, however. Beating RM3 with RM2 or WT game data to RM3's get weapon screen after the post-boss actions (the respective game's victory fanfare and teleporting). Level warping to Breakman is somewhat interesting. Warping from RM 1 or 2 causes the game to behave as if it defeated a fortress boss (fanfare, point counting (where applicable)) and will skip the cutscene and not go to Wily Level 1. Warping from RM3 causes the game to run normally. Warping from WT will make the game have WT's victory fanfare and will skip the cutscene, but when you return to the stage select screen Hyper Storm's mugshot is darkened. (furthermore beating Doc Robot Gemini and Shadow levels will cause Buster Rod's and Mega Water's respective mugshots to go dark). This is likely due to the fact that the WT guys share values with these levels (the first in MM3 to not give out master weapons). The Doc Robot's are made to match the RM2 Robot Masters in terms of damage data. However, Flash Stopper does not drain Doc Robot Quickman's energy. Moreover there is a marked difference in Woodman's vulnerabilities to Top Spin, Search Snake, Spark Shock, Shadow Blade and the Elec Beam. Doc Robot Heatman also takes half the damage from Rockman's regular shots. Show the damage data comparison table. Damage for Blues and Breakman was determined based on the fact it takes 28 Rock Buster shots to defeat Blues, thus giving him the usual 280 energy. Margin of Error: Probably 0 units of energy. Possibly 10. The Kamegoro Maker can't be damaged, so these readings are for the Kamegoro it makes, not the machine itself. Damage was determined based on the fact it takes 3 Rock Buster shots to defeat a Kamegoro unit, thus giving them the usual 30 energy. Margin of Error: 0 units of energy. If you freeze a Kamegoro and then kill it with another weapon before it unfreezes, the Kamegoro Maker will never spit out another Kamegoro, thus forcing you to reset the game. If you use Time Stopper on the Yellow Devil Mk2 as it teleports in, the pieces will get stuck on whichever side of the room it came in from and pile up. Once Time Stopper wears off, the pieces will immediately layer into the correct positions, but the Yellow Devil itself will be invisible. If you use Time Stopper against Holograph Rockman, the real one will disappear and freeze in place while the two fakes will continue moving. The advantage of this is since they're not longer teleporting in synch, the real Holograph Rockman can't teleport to the other levels, nor can the fakes change places with the real one. The background color for Gamma is the same one used for Rockman's outline. This is of particular interest because if you charge Atomic Fire, the background flashes along with Rockman. If you use Time Stopper while Gamma's (Phase Two) arm is on-screen, the arm part will continue moving while the spike parts stay where they were. This breaks the platform part of the fist, but the spikes still work just fine, even though they're invisible. Buster Rod G, Phase 2's impact damage is 40. Beating a WT level does not lead to any get weapon screen (you never get weapons from the WT bosses anyway). The post-boss actions play out as in fortress bosses for whichever game you warp from (RM1 has point counting, RM2 has victory fanfare, RM3 also has victory fanfare like when you beat a Skull Castle boss). As said, warping from RM1 brings in the point counts. Only RM1 enemies (even in WT levels) increases it. You cannot slide in some ares (such as between the blocks in Quickman's level or in Bombman's level), but in other parts you can. When you warp from levels you're really playing with the logic taken from the game you warp from. Warping from RM1 gives you points and RM1's weapon menu and it's post-boss victory fanfare and point count (although it will not drop the weapon from the ceiling). Warping from RM2 gives you no points, RM2's weapon menu and post-boss victory data. Warping from RM3 gives you the slide, no points, RM3's weapon menu, and RM3's post-victory movements. Warping from WT gives you the slide, no points, WT's weapon menu, and WT's post-victory fanfare. Receiving master weapons after beating a boss is tied to the level that you're in (you never get weapons from a Wily fortress or any WT levels). However, the command to actually go to a "get weapon" screen is within the game that you warp from, even if that "get weapon" screen is in a different game. RM2, 3, and WT (oddly enough) tell the game to go to the get weapon screen and the level data determines which screen it goes to (be it from RM2 or 3). So if you warp to Metalman's level from RM3, Metalman's level tells the game that it gives RM a weapon and the RM3 data tells it to go to the "get weapon screen" as part of it's post-boss movements, but the "get weapon screen" is the one from RM2 because it's still tied to the level you're in. RM1 does not tell it to go to a "get weapon" screen when you beat a boss, so the game never does when you warp to another level from RM1 (it does, however, count points as part of it's post-boss movements). WT levels never tell the game that it gets a new weapon, so no matter what game data you use to beat WT levels with you'll never see a get weapon screen. In RM1, however, there is no get weapon screen, but you do receive weapons. So, when the RM2 or 3 post-boss movements tell it to go to a "get weapons screen" the game either glitches and goes to RM3's get weapon screen or crashes because there's no data to work with. Beating another game's robot master using the level select sometimes effects the game you're using (for example, beating Airman from RM1 will cause Gutsman's mug to go dark). This is probably because they share some data, although what it is exactly I cannot say. It seems to be the order the levels are in the game (both Guts and Cuts are the second level in their game's data ... see the level select codes for the level data order). However, this does not appear to denote Wily levels as being beaten. This also does not happen for the Wily Tower robot masters. Beating levels where you obtain weapons may have something to do with this. The Master Weapons are not fully implemented. Cases where they pass right through bosses denote a complete lack of collision data. An attempt was made to use logic to determine what sort of damage master weapons might do. Rolling Cutter and Metal Blades deal the same amount of damage. Thunder Beam and Spark Shot as well. There is also a possible link between Super Arm and Hard Knuckle. RM1 has the most complete damage table. RM1 weapons in RM2 and RM 3 have the least complete damage table. Likely, they were working on those last before stopping. Guts Power can't pick up scrap blocks in RM3 (Spark's level). Outside of RM1 (and select portions of WT) it is useless. Ice Slasher's freezing is not fully complete. Aside from the glitch when using it to freeze and subsequently destroy a Kamegoro, freezing a Blocky (the stack of blocks found in RM2 levels (most notably Metalman's)) the center block will stay where it is while the impervious body will continue to move forward. Ice Slasher is the most consistently ineffective weapon in RM2 and RM3. It deals 0P damage to most bosses. It's unknown whether this is because they didn't finish programming it or if it's just a weak weapon altogether. Considering it's still deals damage to most bosses in RM1 and WT it's likely the former. Time Stopper is the least useful weapon as it only drains the energy of Quickman. It's the most broken weapon when used in other games and sometimes leads to glitches. It's only useful in RM2. It's fun to clear away eggs in Gem's level using Hyper Bombs. Beating the games normally won't make the "All Clear" sprite appear (glitch in the dump or emulator). Beating Games abnormally (RM1 with RM3's weapons) DOES trigger the "All Clear" sprite, despite the glitch. Bringing in the Wily Tower weapons screen breaks most levels. Exiting out of it makes the levels try to rebuild themselves using the graphics from the menu screen. However, not all levels are effected. Sometimes only parts of the level are effected (Wily Machine 2 is glitched when you go into a WT weapons screen and Doc Robot Shadowman's level gets consistently darker). Roxahris notes that this means that their graphics are 'out of the way' (not in the same area of VRAM) of the select screen, although something else will probably be affected. Like in the teleportation room in Rockman 2, while the graphics for most things are fine, the graphics for the Wily Machine are broken. He supposes that the Wily Tower levels are specifically designed not to use that area of VRAM. Were the Master Weapons meant to be taken to other levels? + The Damage table is very complete, even for bosses unlikely to ever be repeated (the final bosses of each game and the Doc Robots). - Some levels and bosses (RM1 and RM2, I am looking at you) require certain weapons in order to pass them. And it could be that Wily Tower was meant to be much, MUCH longer. Since the system is incomplete and our access to it is a hack it's unknown how it would deal with things like the Boo Beam trap (the orbs that only get hurt with Clash Bombs), Alien Wily, or RM1's Wily stage 1 (where you need Super Arm to lift the blocks and clear a path). However, it could have been that some weapons might be automatically put onto the menu depending on the level. + The idea that Wily Tower was meant to encompass All Wilys and both the Doc Robots and RM2 bosses along with both Yellow Devils and every other boss in the games is an absurdity. Every boss in Wily Tower is unique and there is no evidence to support that it was meant to be anything but the short mini-game that it is. The lack of teleporters to even the three robot masters also does not support a larger array of bosses. Such a large and complete weapons table must mean weapons were meant to be used in other games. + The All Clear sprite is shown when beating a game in an abnormal way, but not in a normal way, despite whatever bug prevents it from doing so. Some other value must be present in order for this to happen. - It's possible this is just a glitch. + Rush Marine works in the normal water of RM1 and 2 while Rush Jet also works. This means the behavior of the water in those games is not tied to the behavior of water in RM3. it also tells us that it hasn't been finished yet it also tells us that this is a deliberate move on the part of the game designers. The very fact that Rush Marine works is telling. If Rush was never meant to be brought in at all it shouldn't be able to work at all; a lack of a command to let him work would mean he should behave as if he was called on land. Since he works we can know that Rush Marine was meant to be called in RM1 and RM2. - Some weapons break the game (Flash stopper, Ice Slasher). + Weapons that break the game are unfinished. - Most levels get glitched when bringing in the Wily Tower weapons menu. Our access to the system is a hack. It's either incomplete or the proper way to access it is impossible to get to. Moreover, some levels do not get glitched when brining in the WT weapons menu. - Sliding is not fully implemented (you cannot slide between blocks in Quickman's level). Rush Jet works in water. + Sliding not being fully implemented and Rush Jet working in water are signs that these things are unfinished not that they were never meant to be taken into the level. Moreover, the damage table and Rush Marine's usability tell us that weapons were meant to be taken from game to game. + Wily Tower's post-boss movements tell the game to go to the "get weapon screen" for RM2 and RM3. Since there is no weapons to be had in Wily Tower this might mean that it was made to be compatible with these levels. - However, RM1 has no "get weapon screen" so the game glitches or crashes. Moreover, the WT game data does not go to RM3's cutscene after beating Breakman. + The process is incomplete. Based on the facts available to me I cannot help but come to the conclusion that weapons were meant to be used universally. Since some levels require certain weapons, the only way this system works is if there is access to Wily Tower's Weapons menu. Likely this was after all three games were already beaten (both based on logic and based on the "all clear sprite oddity). It's possible that the Wily Tower mini game was only unlockable by beating the game once more by using all the weapons in the game. It's really too bad this feature wasn't finished. I can only guess the design team ran out of time or/and money. Still, it's nice to be able to bring weapons over, even if it's in a hack. And, hey ... Metal Blade. In Rockmans 1 and 3. Hell yeah.